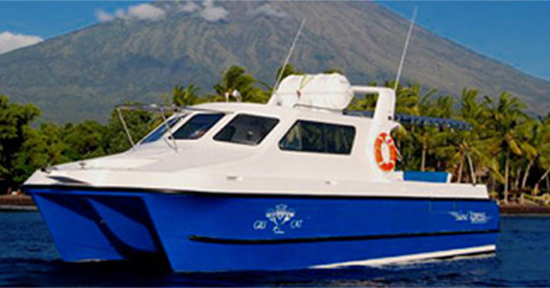 Ever since it was established in 2007, the Australian owned and managed company Gili Cat has been able to stand out from the crowd for being the first fast boat company to offer daily transfers from Bali to Lombok and Gili Island. Their first-class management and staff have also been able to cause a huge splash in the public eye as they go the extra mile every day in order to provide customers with reliable, fast, comfortable, affordable, and safe services. Customer satisfaction is their number one goal. They are not pleased until you are pleased, which is just one of the many reasons why people keep utilizing their operations on a daily basis. Gili Cat vessels, which were proudly made in Australia, are very family friendly. 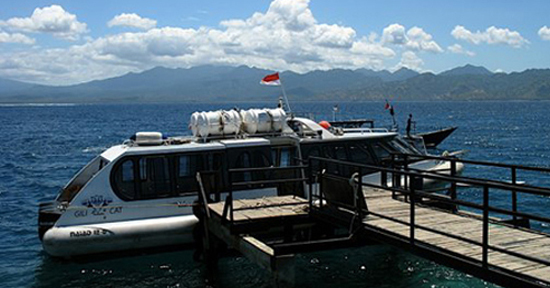 One popular service that Gili Cat provides, which has lately been the talk of the town, is their free pickups and drop offs in Bali. 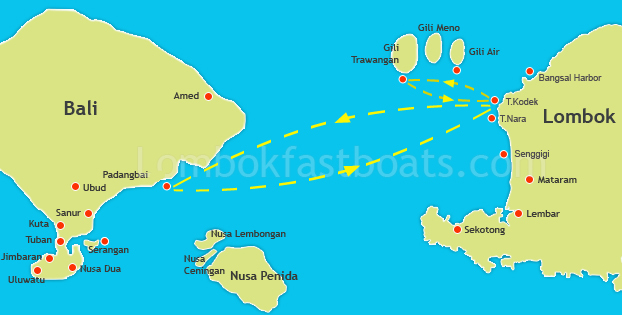 Ports: Ubud center area, Sanur, Seminyak, Legian, and Kuta. 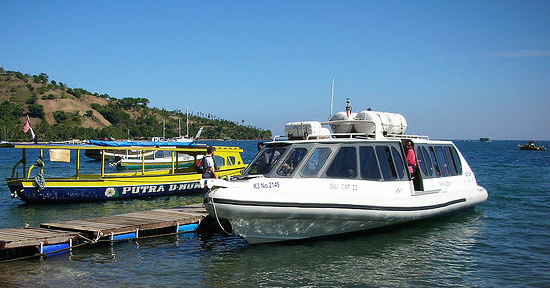 Boats depart from Padangbai at 8:45 A.M. and 9:15 A.M. Every vessel meets all the regulations that have been established by the United Nations SOLAS (Safety of Life at Sea) Convention. They carry an extensive safety, communication, and navigation equipment. In addition to this, the captains and chief engineers have more than ten years of commercial seagoing experience under their belts. 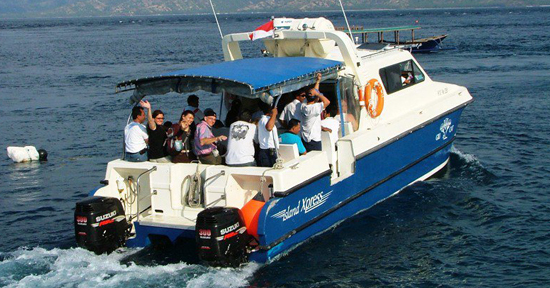 They have attained certificates that are internationally recognized; therefore, you can rest assured that when you opt to travel in one of Gili Cat boat, you are in good hands. 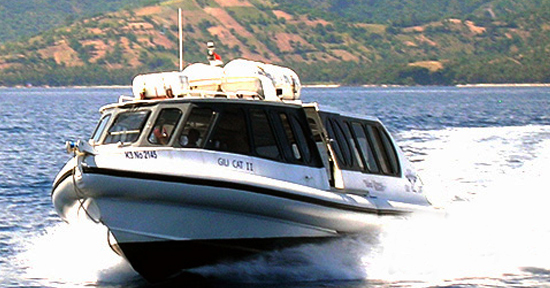 This boat, which has three crew members on board, can cruise at a maximum speed of thirty-four knots. It can hold up twenty-two passengers. Its length is 11.25-meters. 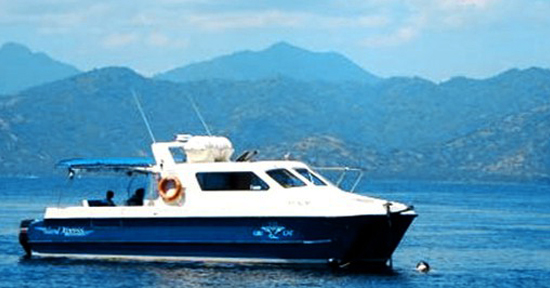 This boat, which has three crew members on board, is a bit bigger in size than the Gili Cat 1. Its overall length is 11.58-meters. It can carry thirty-four passengers, and it can travel at a full speed of thirty-five knots. 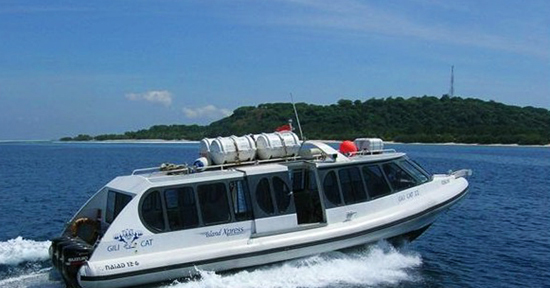 As you can already conclude, if you want to make your transfers between Bali, Gili Island, and Lombok as pleasant as possible, Gili Cat is your best bet.